The dam breach at Córrego de Feijão mine in Minas Gerais last Friday has killed at least 84 people and left over 250 more missing. It is the second major tailings disaster for Brazilian iron ore giant Vale in less than four years, following on from the Bento Rodrigues dam disaster (also in Minas Gerais) in November 2015. 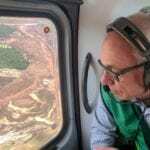 Chief executive officer Favio Schvartsman’s stated yesterday that the company would spend 5 billion reais ($1.87 billion) to decommission the remainder of its 19 upstream tailings dams. Nine dams have already been decommissioned due to the previous disaster in 2015. 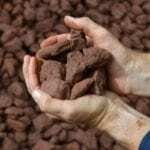 The company intends to cut production by 40 million tonnes of iron ore and 11 million tonnes of pellets over the next three years, relocating 5000 workers, according to a Reuters report. Five people have been arrested in connection with the incident, including three Vale employees and two engineers working with Vale on the project. 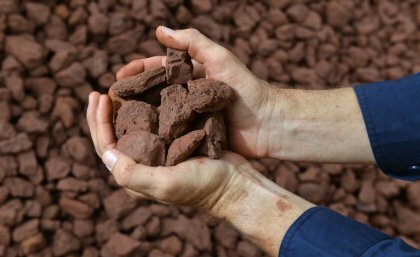 This squeeze on iron ore supply as Vale shuts down major operations and faces scrutiny from environmental regulators, among other factors, is likely to contribute to a longer-term rise in prices for iron ore. The Metal Bulletin Iron Ore Index posted a high price today of $US82.53 ($113.83) per tonne for 62 per cent fines. Higher grade 65 per cent fines and lower-grade 58 per cent fines also rose to $US97.60 per tonne and $US60.44 per tonne, respectively. The 58 and 62 per cent fines are now at their highest price since March 2017. “Rio is about 23 to 24 per cent of the seaborne market, and Vale is 24 per cent. If we see that (Vale’s shipments) come down further I think Rio could become the biggest player,” said Vivek Dhar, associate director, mining and energy, Commonwealth Bank.